or via email eric@gnathos-south.com. References from previous office visits available upon request. The Gnathos South consultation service provides and efficient and effective way to get evidenced based and experienced (30+years of practicing orthodontics) backed orthodontic consultations for your patients. This consultation service is a yearly subscription service. This yearly (12 months from any starting point) subscription service provides the practitioner with access for case consultations both pre-treatment and during treatment and includes any progress questions and trouble shooting problems encountered during treatment. Doctor submits all pertinent records electronically (via E-mail) (note: it is quite easy to take digital photographs of radiographs and models to submit even without digital radiographs.) DropBox or some other type of file sharing or compression is recommended. 1) A written e-mail may be used which may include illustrations or pertinent powerpoint slides to demonstrate recommendations. 2) Depending on the complexity of the question or case a summary sheet of recommendations may also be included. Registration is simple. Simply fill out the information on the left and return via e-mail or regular mail with a check or you will be invoiced. Or include it with your first case or question. 100% satisfaction guaranteed or your money back. Cancel any time. Excellent teachers combine experience, compassion and the ability to explain challenging concepts with clarity. Eric blends these essential traits with a genuine concern for the student’s ability to understand and apply the material being taught. Don’t miss this fine and unique opportunity. 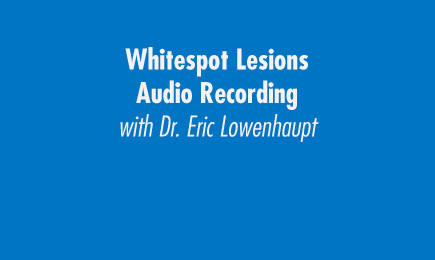 One of my favorite learning experiences over the past ten years has been with Dr. Eric Lowenhaupt. 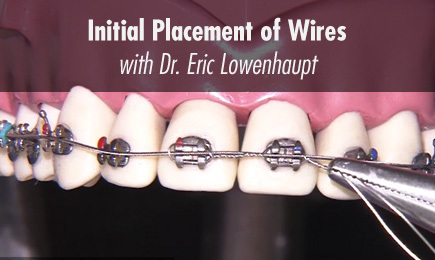 He has a natural talent of simplifying orthodontic techniques to achieve excellent clinical results. His teaching cases are stellar. 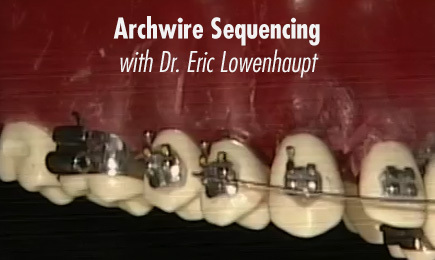 I love his no nonsense style and subtle sense of humor intermixed with a comprehensive review of a selected orthodontic topic. 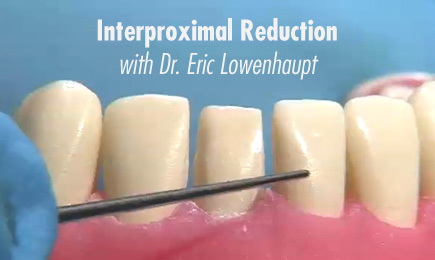 Dr. Lowenhaupt's courses have a loyal following as we not only reap a huge benefit from his lectures but also from sharing with each other. If you are interested in perfecting your diagnostic and technical skills, then Eric's course is a must! Dr. Lowenhaupt has provided our pediatric dental residency program with valuable orthodontic education for over 20 years. 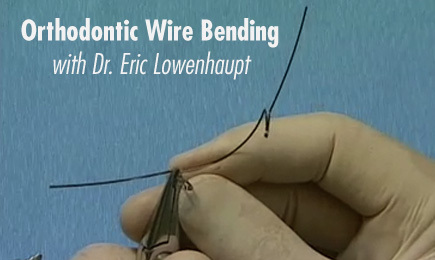 Although the focus is on teaching principals of mechanics of orthodontic force systems, his teaching style always provides much more depth than just bending wire. His lectures always include aspects of growth and development, diagnosis, trouble shooting in patient care, practice management and alternative means of obtaining an optimal result clinically. Most importantly, Dr. Lowenhaupt organizes his presentations based on his experience and in an evidence-based approach that is conducive to students understanding and valuing his message. His patience and enthusiasm for genuinely helping students learn something of value keeps their attention and always results in a message that they can apply to their practice of dentistry. 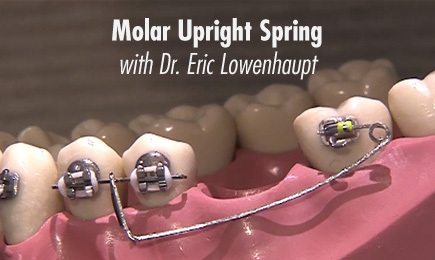 After having attended numerous orthodontic continuing education courses over the years I found the Vital Orthodontics Series to be an excellent investment. The combination of 'evidenced based' information with clinical case examples and hands-on exercises provides an excellent learning experience. I would highly recommend it to anyone considering providing orthodontic services for their patients. 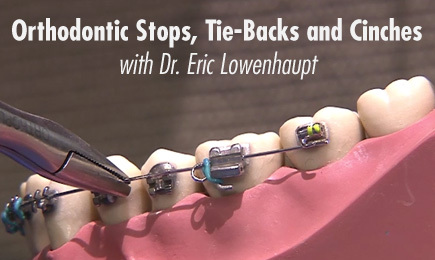 After having attended numerous orthodontic continuing education courses over the years, I found the Vital Orthodontic Series provides good balance of theories and practical information, material covered are "evidence based" supported with abundant clinical examples and plenty of "hands on " exercises. This course is definitely a good investment and I highly recommend it to anyone who is serious about orthodontic education, you won't be disappointed! Vital Orthodontics does not even compare to any other course I have done whether orthodontic or in other areas of dentistry. The intimate nature of the smaller group, as well as Eric’s (Dr Lowenhaupt) welcoming and enthusiastic personality, allows for a personal and professional relationship with the presenter and a sense of camaraderie amongst course participants. The course program is challenging yet well structured and is supported with great references, comprehensive manual and heaps of hands-on exercises. I’d definitely recommend it to anyone with an interest in orthodontics, both beginner and those with a few cases under their belt – I’d do it again in a heartbeat. 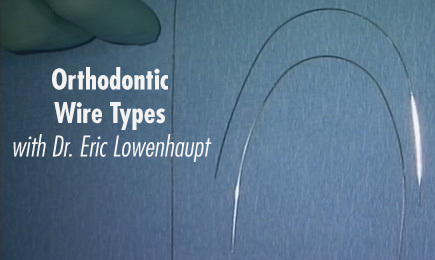 After attending many courses in orthodontics over the last 5 years I was still not confident to start many cases. Upon completion of your ADA (NSW) Vital Orthodontic course series 2015 I’ve gained invaluable knowledge which gave me the confidence to start more cases than I ever have. 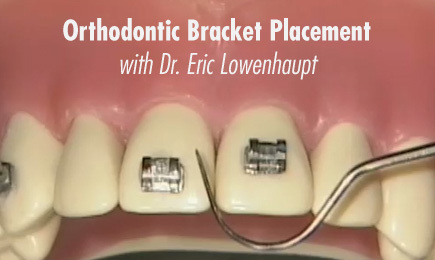 The gained confidence rekindled my passion to discuss and offer orthodontics to my patients. The most unique and appreciated part of my learning is your most prompt e-mail support during and after completion of my course. I would definitely recommend your course to anyone who has a passion for Orthodontics and wants good value for their invested time and money. Eric B. Lowenhaupt, D.D.S. attended Florida State University for undergraduate studies and Emory University in Atlanta for his Dental and Orthodontic training. 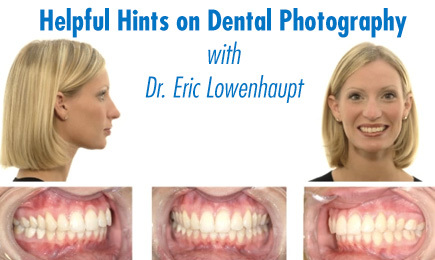 He completed a general practice residency and practiced general dentistry for six years before returning for his graduate orthodontic training at Emory University. Since 1986 he has been in the private practice of Orthodontics and Dentofacial Orthopedics in Jupiter, Florida. He cares for a variety of patients including children and adults. (g)nathos (The Ricketts School for Bioprogressive Education, Southeast), and the Centre For Professional Development of the Australian Dental Association. He has appeared as a featured speaker on programs throughout the United States, South America, Europe and Australia and has authored articles for dental publications. He is an Associate Professor in the Department of Community Dentistry at the University of Alabama and a consultant for the Veterans Administration Hospital. 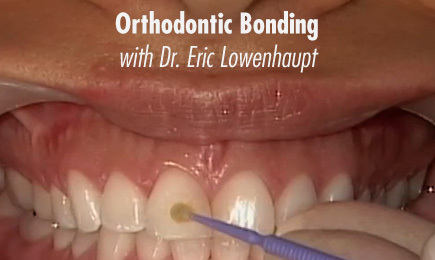 Dr. Lowenhaupt has been a Diplomat of the American Board of Orthodontics since 1993.